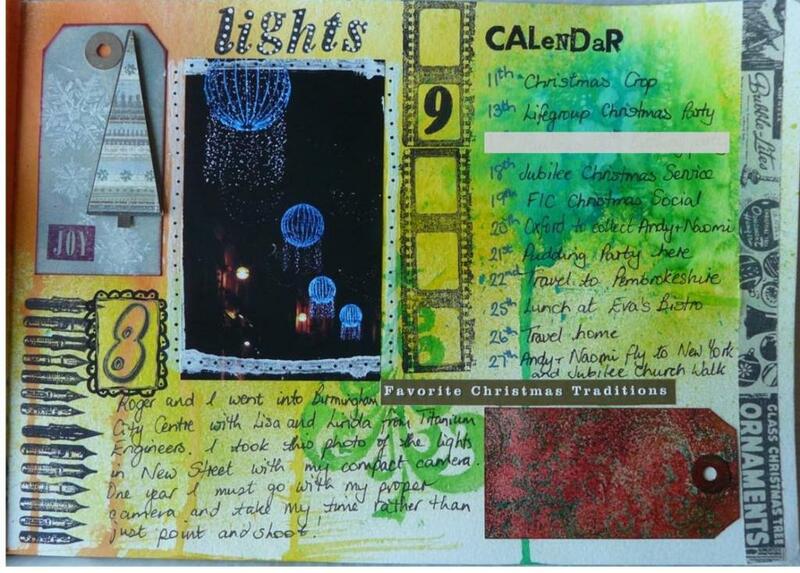 I am up-to-date with Tim's tags and my journal for Journal Your Christmas. And it's only lunchtime! My December journal is coming along. I've already blogged days 1-5. Here are days 6 - 9. Love the look of your journal. I really like your tag- very beautiful. Your journal is great and I applaud you for making time to do this (always one of my resoulutions that sadly get broken! ).